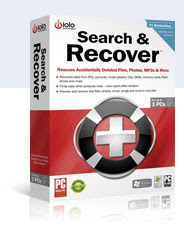 Search & Recover is a product of Iolo software company, it is a recovery software that allows you recover deleted files in your hard drive or other device. It is a commercial software, and that costs about $39 one year license. Now, you can follow these steps to get it for free. Look at steps below. Go to this promotion page, you will see a page that like screenshot below. Click "Continue" button, you will see a checkout page. It shows you "one year subscription promotion", it is not charge you anything. 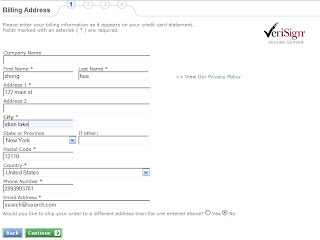 Click "Secure Checkout" button, it takes you to another page, you need fill your bill information. Do not worry, you can fill a fake information except email address, you need a real email address to receive a register code. Click "Continue" button, you will see Deliver Method, it is free. Click "Continue" button, a checkout page shows you nothing you need pay. Finally, last page tells you all done. 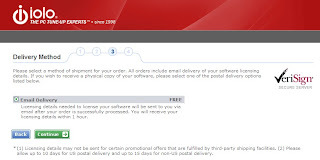 Now, you can check your email and use that register code you got to install software, one year license for free use.